If you use the Units of Study for Teaching Writing, K–8, then it’s probable you’ve worked your way through the four major books in your grade level’s kit. Chances are you’re looking to teach a unit from the If… Then… Curriculum book or you’re designing a unit of study with your grade-level colleagues. Either way, you are trying to figure out how to help your students master new writing skills. But how do you do this? 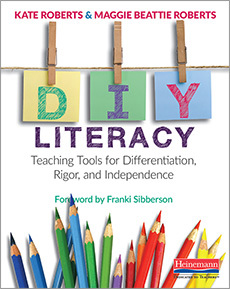 Last summer, I was reading DIY Literacy: Teaching Tools for Differentiation, Rigor, and Independence by Kate Roberts & Maggie Beattie Roberts. 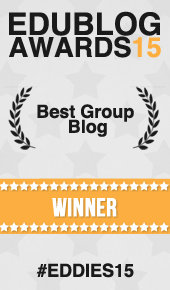 (Click here to read Dana Murphy’s review of their book.) One of my favorite parts of their book was the bonus chapter, which was called “How Do I Find (and Write) Strategies for Teaching Tools?” This chapter is truly a bonus since it helps teachers think through the ways to teach kids strategies, steps, and tricks to help kids become better writers. I asked Kate and Maggie for permission to share an excerpt from their bonus chapter here on Two Writing Teachers since I know writing teaching points from scratch mystifies many teachers. And for good reason. It’s hard enough to figure out what to teach kids. Trying to figure out how to teach kids to accomplish a skill and then explain why we might want to do this work is hard work! Kate and Maggie take the mystery out of this in the bonus chapter. Click on this link — Pages from DIY pp 28-35 — to read the Do It Yourself: Mining Your Own Work for Strategies section of the bonus chapter. If you like what you read (and I’m confident you well), then click here to purchase a copy of DIY Literacy. Students must be encouraged to write so teachers should make a concerted effort to motivate students to do it. Writing assists meta-cognition, critical thinking, memory boosting among other benefits. So, whatever strategies that teachers can employ to help students, would never be too much work. I LOVE this book and the videos that they have created to support it. I was lucky enough to participate in #cyberpd last summer as we dug into the book. It is one that every literacy teacher should have!